Psychologists in Singapore are asking medical authorities to formally recognize Internet addiction as a serious disorder. The first Internet Congress on Internet Addiction Disorders was held in Milan earlier this year. Australia has developed the first in-patient treatment programs for adolescents. Italy has treatment centers in Rome and Milan, and France uses early education to prevent technology addictions. Research in Scandinavian countries suggests an increased risk of Internet addiction among young people. 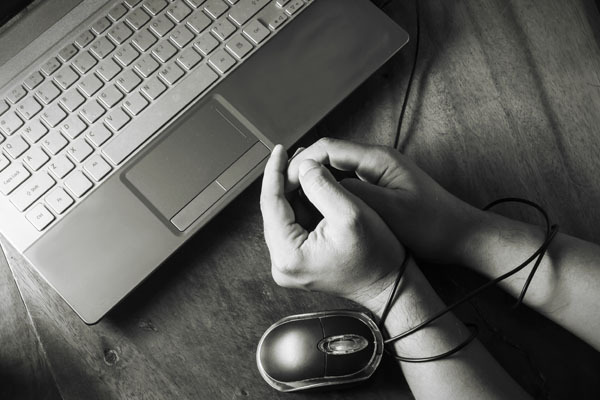 Studies in Pakistan, Iran and Germany have also documented Internet addiction. A growing epidemic, Internet addiction was first identified in the U.S. by Dr. Kimberly Young in 1996, and is particularly serious in Asian countries. An estimated 24 million young people in China are addicted to the Internet. The country was the first to recognize Internet addiction as a serious psychological disorder. South Korea established the first comprehensive, national prevention and re-education program for screen addictions after a 2013 study found that nearly 20 percent of the country’s teenagers were addicted to smartphones. Japan and Taiwan have formally added smartphone and Internet addiction to their lists of medical disorders, and offer inpatient care. And now, psychologists in Singapore are asking medical authorities to formally recognize Internet addiction in the country’s psychological literature. According to a study by Experian, Singaporeans spend on average 38 minutes per session on Facebook, which is almost twice as long as Americans. In the United States, Internet Gaming Addiction is now listed in Section 3 of the DSM-5, but Internet addiction has not yet been recognized as a separate disorder. The field of Internet addiction is advancing even without its official recognition as a separate and distinct disorder. There is continuing disagreement over theoretical perspectives and diagnostic criteria, especially over whether Internet addiction (IAD) should be classified as behavioral addiction, impulse-control disorder or an obsessive compulsive disorder. Currently, there are several assessment tools used in the evaluation of Internet addiction, but researchers the world over agree there is a critical need of developing standardized measures in both Western and non-Western contexts. Assessment tools developed by Young and others are commonly used by researchers today. According to these instruments, an individual is defined as Internet addict if he/she displays certain addictive behaviors in the past 12 months. Young developed several instruments including a seven-, eight- and 10-item questionnaire that assesses Internet addiction based on the concept of pathological gambling. Experiencing tolerance in that one needs for increased amounts of Internet use to achieve the desired effect or there is a diminished effect with continued use of the same time spent on the Internet. Spending longer periods of time on the Internet than intended. Spending a great deal of time in activities to stay online longer. Giving up any social, occupational, or recreational activities because of the Internet. Continuing to use the Internet despite knowledge of having a persistent or recurrent problem that is likely to have been caused or exacerbated by the Internet. Having made unsuccessful attempts to cut down time spent online or lack of desire to cut down on the amount of time spent online. Experiencing withdrawal symptoms (e.g., depression, irritability, moodiness, anxiety) when off-line.